The current labour unrest isn’t as apolitical as it looks. But don’t expect an early change in China’s autocratic leadership. The ongoing labour unrest in China is seen by many as a labour market response to uncompetitive wages offered by foreign companies. And, to a large extent, this is true. Changing demographics are reducing the supply of ultra-cheap young labourers from the countryside to coastal export-processing zones, giving labour more bargaining power. But explaining China’s newly assertive workers purely on economic grounds misses the larger—and more interesting—political context. For labour activism is only one of the many signs of a broader political re-awakening in Chinese civil society. 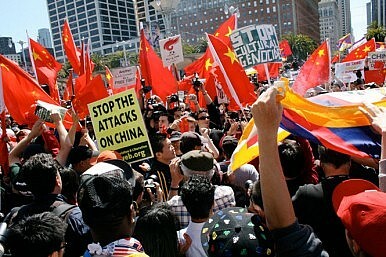 For years, Western observers have been disheartened by the lack of political change in China. Modernization theory predicts that rapid economic progress should help liberalize the political system, but this hasn’t occurred in China since 1989. Until now. In addition to migrant workers who have risked their jobs and personal safety in joining the strikes, China has seen other forms of civic activism and political assertiveness at the grassroots level. What’s interesting about this new political reawakening is that on the surface it doesn’t look all that political. Instead of calling for democracy and freedom, participants in these activities focus on issues directly related to their economic interests, property rights and social justice. Examples include fighting off local governments’ attempts to build polluting factories, seize farmers’ land without compensation and evict urban residents from their homes. Criticism of government policy and performance in delivering public services and protecting social justice are routine in Chinese publications and on-line venues. And, of course, the ostensibly apolitical nature of such civic activism makes it much harder for the Communist Party to suppress it with brutal force. Several forces have contributed to the reawakening. Clearly, the information revolution—a direct result of economic modernization—has helped change values and reduced the costs of organizing collective action. It has also magnified the political impact of such moves (even inspiring copycat action), while the rapidity with which the latest labour unrest has spread would have been inconceivable without the assistance of the Internet and cell phones. Rising physical mobility of the population is another factor—as ordinary Chinese citizens have more opportunities to compare how conditions differ among China’s diverse localities, they acquire a greater awareness of the political and social injustice of their own surroundings and become less tolerant of such injustices.